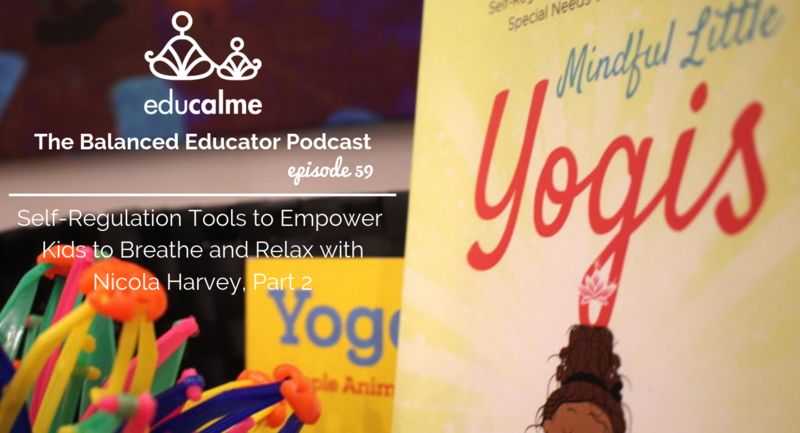 Today on The Balanced Educator Podcast, we’re continuing our conversation with Nicola Harvey, author of Mindful Little Yogis. Today, we focus on concrete and applicable ways to practice mindfulness with our kiddos and to help them develop their self-regulation toolbox. We explore many strategies, including mindful movement, yoga, diaphragmatic breathing, visualization, calm down jars, music therapy, lego-based therapy and more! We talk about the importance of helping our kiddos’ to develop their mind-body connection. This episode is perfect for you if you’re looking for ideas you can apply right away!